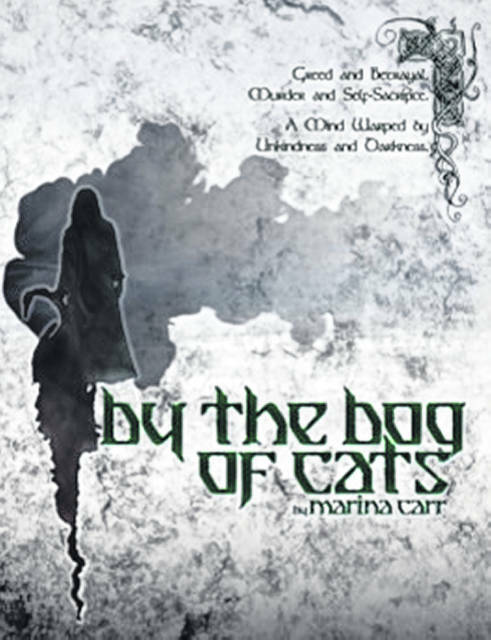 SSCC Theatre presents Marina Carr’s “By the Bog of Cats,” playing April 5-7 in the Edward K. Daniels Auditorium on Southern State Community College’s Central Campus, 100 Hobart Drive, Hillsboro. The Friday and Saturday performances begin at 7:30 p.m.; the Sunday matinee begins at 3:30 p.m. Loosely based on Euripides’ tragedy “Medea,” this is the prophetic tale of Hester Swane (played by Juliane Cartaino), an Irish Traveller, who attempts to come to terms with a lifetime of abandonment in a world where all whom she has loved have discarded her. Set on the bleak, ghostly landscape of the Bog of Cats, this provocative drama discloses one woman’s courageous attempts to lay claim to that which is hers, as her world is torn in two. The cast includes: Bob Brown, Paula Campagna, Faith Fetters, Riley Griffin, Madison Hatfield, Billy Henry, Ian Holmes, Leslie Holmes, Emma Horick, Jeff Horick, Bronwyn Jones, Jackson King, Shawn Thomsen, Matthew Waits, and Sarah Wuellner. The production team includes: Rainee Angles (director) Brent Angles and Rainee Angles (production design), Zanna Haines (costumes), Benjamin Gullett (public relations), and Shane Taylor (stage manager). Fulfilling other crew positions are: Lex Angles, Charlotte Brown, D.J. Griffith, Melissa Griffith, Amber Klump, Abby Van Brocklin, and Mikala Waller. Tickets for “By the Bog of Cats” are on sale now and can be purchased for $8 at www.sscctheatre.com. At the door, tickets start at $10. A discount of $2 per ticket is available for groups of 10 or more. Credit cards are accepted for online purchases and at the door. Seats for this production are reserved; therefore it is recommended that tickets be purchased early. For more information on “By the Bog of Cats,” please visit www.sscctheatre.com.